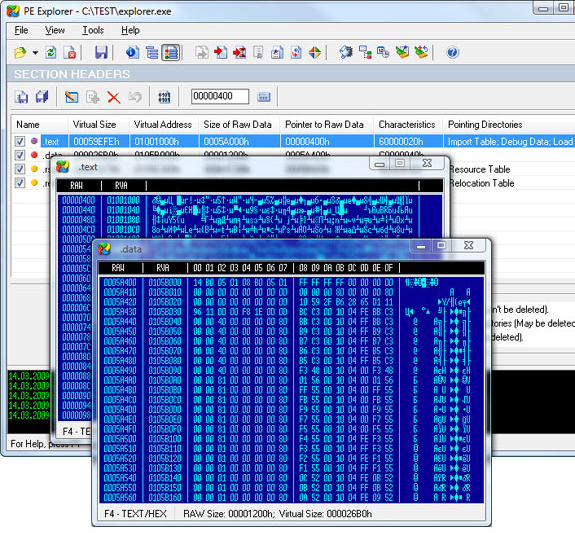 View, Edit, and Reverse Engineer EXE and DLL Files! 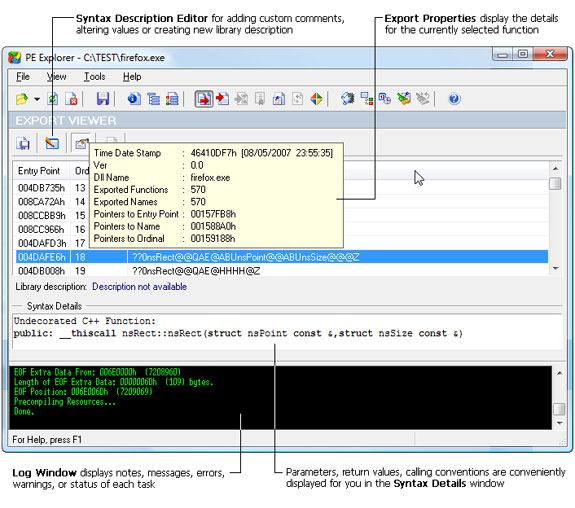 Have you ever wanted to dissect a particular application, but you didn't have access to the source code? You want to know what makes it tick, how it does what it does - it's an important way of learning and improving your own coding abilities, after all. PE Explorer is everything you need to crack open those software oysters to get at the valuable pearls of coding wisdom hidden inside! 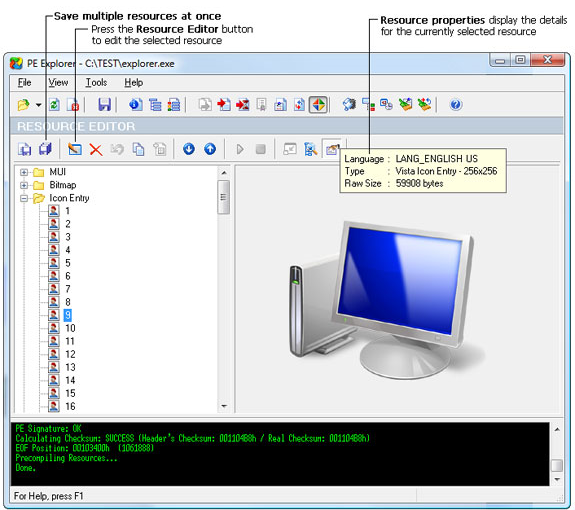 With PE Explorer, all you need to do is select the EXE or DLL file that you want to examine, and PE Explorer will display a summary of the header information, and all of the resources contained in the file. 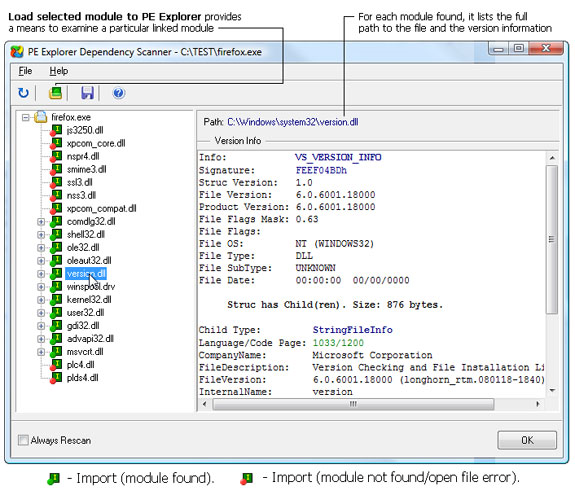 PE Explorer gives you the freedom to take a look around and explore the specific elements within an executable file. 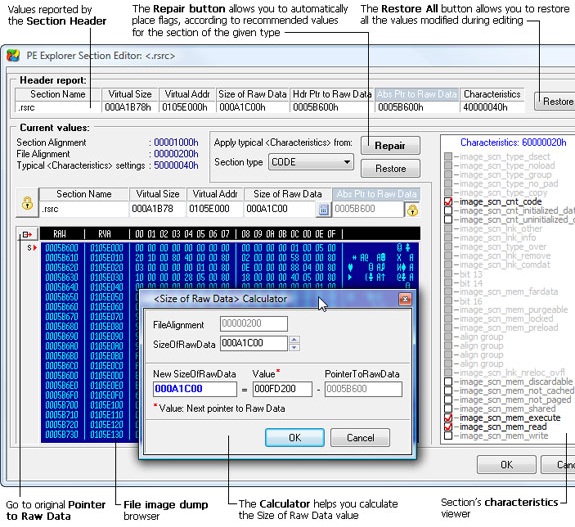 Other features make PE Explorer a coder's dream! There's an API Function Syntax Lookup, a Dependency Scanner, a Section Editor, and, wait for it, a powerful Disassembler for generating annotated code dumps. With all of these tools at your disposal, you can make your applications bend to your will. Fix broken programs by using PE Explorer to restore lost information, keep damaged files intact, or reverse engineer projects with missing source code. Imagine customizing the GUI elements of your favorite Windows programs! With PE Explorer, you can! 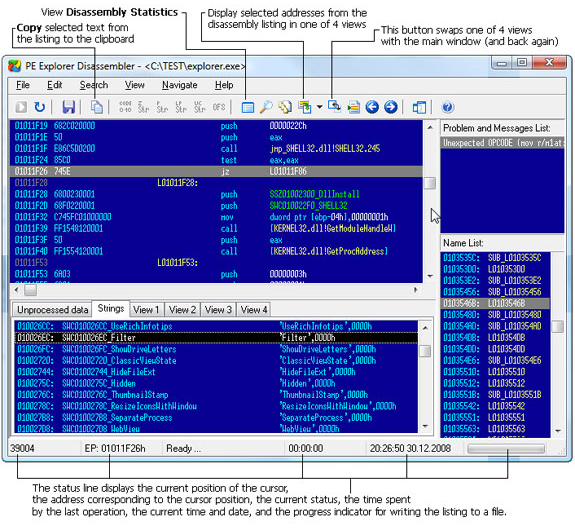 See what's inside an executable and what it does. Change and customize the GUI elements of your Windows programs. Track down what a program accesses and which DLLs are called. Understand the way a program works, behaves, and interacts with others. Verify the publisher and the integrity of the signed executable files. Say good bye to digging through bloated help files just to hash out an API reference. Open UPX-, Upack- and NsPack-compressed files seamlessly in PE Explorer, without long workarounds. Special support for Delphi applications! After you purchase PE Explorer it may be used indefinitely. PE Explorer is licensed per user, so if more people are going to use PE Explorer you will need to purchase additional copies. Upgrades to future versions of the software will be free for 18 months. For versions after that, upgrades will require additional payment, which will be discounted. Support is provided for 18 months after your purchase. “Yay! PE Explorer saved my bacon to recover some routines and constants from a dll whose source was altered and the old version never saved. That alone was worth the purchase price.”- Tim Anderson, Predator Software, Inc.
“I've been using the PE Explorer for a while, and am very impressed with the latest version's functions -- especially the disassembler.”- Conrad Herrmann, Zone Labs, Inc.
Is there any news on the release of version 2? Serge Vershin Not yet. Still struggling with 64-bit disassembling. Matt Thanks for your reply Serge.